Les Quindipan Joins Listen – Listen, Inc. 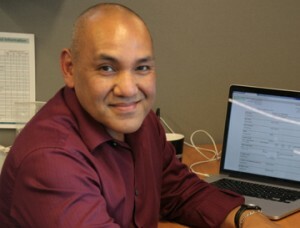 Listen is excited to strengthen its sales team with the addition of Les Quindipan. Les comes to Listen with over 20 years’ experience in professional audio, having worked at MOTU in various management positions including sales, operations, software and support. He has worked with and supported many high profile artists, producers and touring acts. Les holds degrees covering music, business and recording, and is also a keen guitar player. Les will be working alongside Neil Rubado (our North America sales manager) to support our East, Central and Mid-West customers. Please extend him a warm welcome, and stop by our booth at AES in New York to meet him in person.